Photo: Kornelius Bascombe/ @kornb2hype[/caption] The couple who met at North Carolina State University are a picture perfect image of being unapologetically black and in love. Their relationship started as a crush but soon blossomed into the promise of an everlasting union. Bascombe was initiated into the Eta Omicron chapter of Alpha Phi Alpha Fraternity, Inc. in Fall of 2008. Jordan is also a BGLO member and was initiated into the Mu Omicron chapter of Delta Sigma Theta Sorority, Inc. in 2013. "I was a campus leader and hosting an event, I spotted her in the crowd and immediately had a crush on her. I called her up on stage during the pep rally to play a game with me, at which point she didn’t know that I liked her," Bascombe told Watch the Yard. 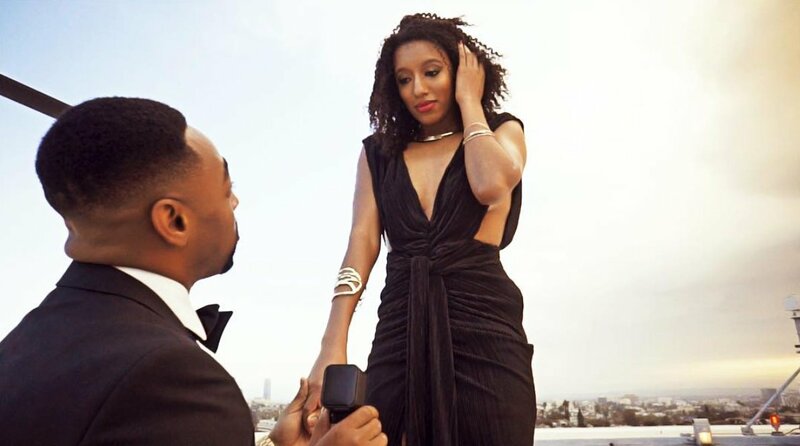 Bascombe planned the proposal months in advance, and as the video shows, he is extremely excited to begin the journey of spending the rest of his life with the love of his life. After 4 years of dating my best friend and lover, I got down on one knee and asked for her hand in marriage! After months of planning... my hard work paid off. 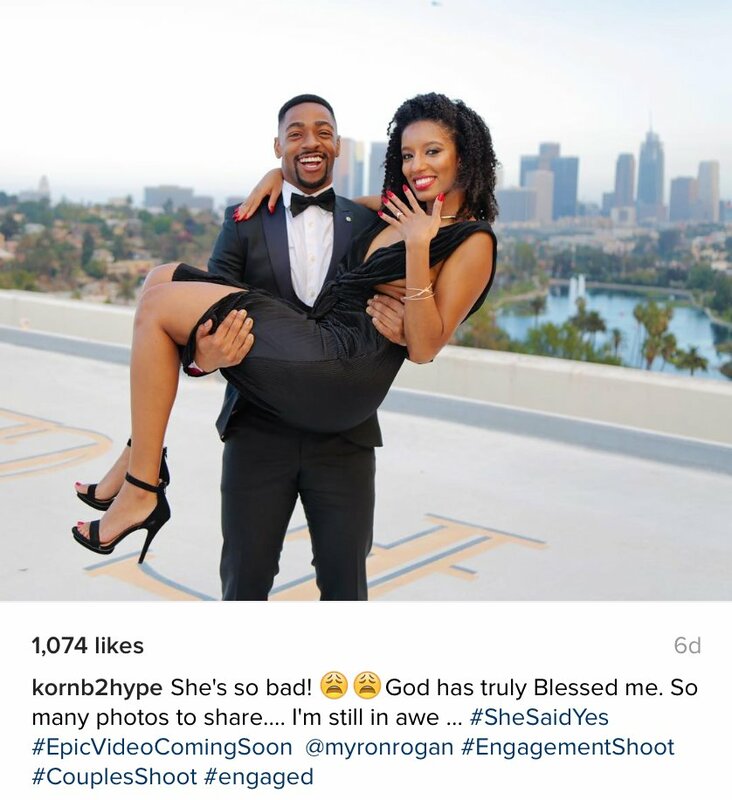 Photo: Kornelius Bascombe/ @kornb2hype[/caption] If this flawless proposal is any indicator of the future union of these two, there are sure to be more epic, viral-worthy memories to come. Congratulations to the beautiful couple! Loving our content? Sign up for Blavity’s daily newsletter.